The list includes Judges of various Commissions and Tribunals as well. 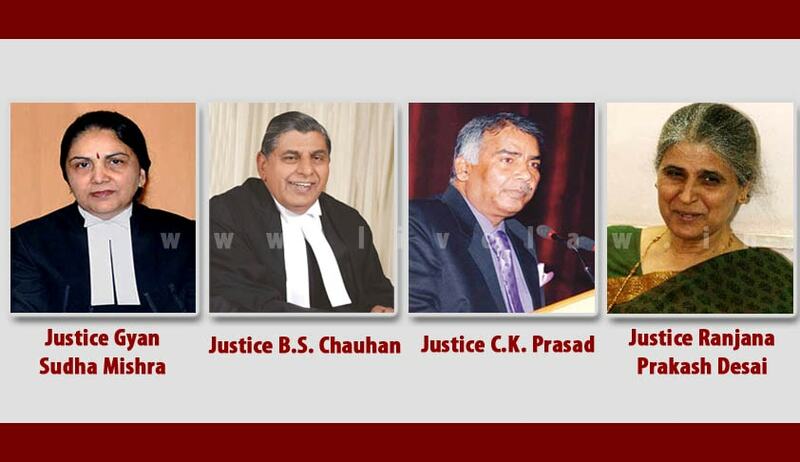 These are: Justice Rajesh Tandon, Member, Uttarakhand Human Rights Commission; Justice Harbans Lal, Chairman, VAT Tribunal, Punjab; Justice Jagdish Bhalla, Chairman, Punjab State Human Right Commission; Justice Nisar Ahmad Kakri, Chairperson, Andhra Pradesh State Human Rights Commission, Hyderabad; Justice M.S.A. Siddiqui, Chairman, National Commission for Minority Educational Institutions; and Justice Prafulla Kumar Mishra, Chairperson, State Human Rights Commission, Goa. Justice Yad Ram Meena, former Chief Justice of Gujarat HC; and Justice Permod Kohli, former Chief Justice of Sikkim HC also feature in the list. “Supreme Court has recently accepted DoPT argument to include aspirants listed for post of Central Information Commissioners subsequent to advertisement for the post after BJP government coming into power, because DoPT argued that earlier lists of during UPA regime had become irrelevant because of many aspirants of earlier lists might be no longer interested or lost eligibility. Same argument should hold good in respect of old list of UPA regime for Lokpal aspirants. Moreover there can be aspirants who might have become interested after BJP government having come into power. DoPT should invite fresh applications for post of Lokpal,” he added. The quest began with Mr. Agrawal filing an application on April 21, 2014 under the Right to Information Act, 2015 with the Central Public Information Officer (CPIO), DoPT, seeking information on 18 points relating to selection of Chairman and Members of Lokpal. Not satisfied with the CPIO’s point-wise reply, Mr. Agrawal had then filed an appeal before the First Appellate Authority, contending that the information has been denied by the CPIO on several points by misrepresentation of different sections of the RTI Act, 2005. The CPIO’s reply was upheld by the FAA. However, Mr. Agrawal remained persistent and filed an appeal before the Commission. The CPIO had contended before the Commission that the information sought related to personal information of people who had applied or have been nominated by different authorities as Chairperson and Members of Lokpal, the disclosure of which had no relationship to any public interest and would cause unwarranted invasion of privacy of individuals. Mr. Agrawal had however averred that disclosure of the information would service a larger public interest and the public interest would outweigh any possible harm due to invasion of privacy of the individuals. He had submitted that such disclosure would ensure that only the right type of people apply for the post and in case any undesirable person has applied for the same, the information could be brought to the notice of the competent authority. According to him, this would enhance public confidence, especially if the relevant information relating to the capabilities of the applicants is also brought to the notice of the Selection Committee. Directing the disclosure of information, Information Commissioner Sudhir Bhagwava had observed that what Mr. Agrawal sought was not personal details of a third party. Rather, he sought names of those who had applied for the post of Chairman/Members of Lokpal, in response to DoPT’s advertisement. “Thus, there should not be any unwarranted invasion of privacy by disclosing the names of the candidates who had applied for the said posts,” he had said.